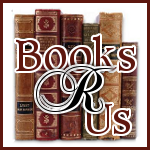 I want to welcome Bill Walker to Books R Us. Bill is touring the blogosphere with his book Titanic 2012 hosted by Partners in Crime Virtual Book Tours. Thanks for stopping by. During the journey, armed with his iTouch and a miniature wireless camera hidden in his glasses, Trevor interviews both passengers and crew, eager to learn the reasons why they chose to sail on the reborn ship. We’ve been on-and-off again for the last five years. And I hadn’t seen her for the better part of a year. I¬¬ guess she thought now was as good a time as any to mend fences. Christ, if she only knew…. “You have a call,” the computer intoned in a quiet contralto, making me wince. Even the goddamned computer’s voice reminded me of Madeleine. “Who is it?” I asked, expecting to hear it was yet another call from the Globe. Hometown reporters were the worst, the most ravenous. “Put it through,” I said, making my way over to the sleek MacBook Pro sitting atop my writing desk. The screen came to life and Solly Rubens’ round face filled the screen. His saturnine looks were etched with concern, an expression that somehow looked ominous on him. The tiny “picture-in-picture” in the upper left-hand corner of the screen showed me what Solly was seeing, rendering his question moot. “How the hell do you think I’m holding up?” I said, staring back at Solly. His eyes blinked rapidly and I debated whether or not to instruct the MAC to disconnect, when he spoke again. So, that was it. Like everyone else, they wanted to know the truth about Harlan’s death–wanted to know all the gory details. Christ, they were no better than the goddamned muckrakers slinking around my front door. And why was it so important to Ken and Solly, anyway? And then, all at once, the anger passed, as if someone had thrown a switch inside me. Suddenly, I wanted very badly to tell someone–anyone. And perhaps it was more than fitting to do it where it all began. The screen went dark, and I sat there for a long moment, wondering if I shouldn’t blow them off. And then I realized Harlan would want me to go. I doubted very much, however, once they heard the whole story, it would be any pleasure for any of us…. I have seen James Cameron's movie numerous times and I have always enjoyed it. The book takes on the same theme as the movie with characters who are Cameron fans.The main characters, Maddy and Trevor, have a relationship that is a crucial part of the book and when they investigate the boat, I am brought back to many scenes in the movie. Trevor has a dream sequence that was very descriptive, symbolic and very frightening and I was happy when he woke up. Some of the Trevor's interviews with the passengers were drawn out and I found myself skipping ahead to the next chapter. Although there were parts that were humorous, I felt despair, depression and sadness among the passengers. The ending was not as I expected and I figured it out halfway through the book. The book was well researched and the scene descriptions were realistic but I felt that the ending was a bit hurried. Disclaimer: I was given a free book by the author and Partners in Crime Tours for my honest review and I was not compensated for my review. Thank you for your honest review. Great post.